Colour slide of the western end of the final block on the northern side of Dornoch High Street. The Cathedral Cafe became Harry Gow's cafe in c 2005. 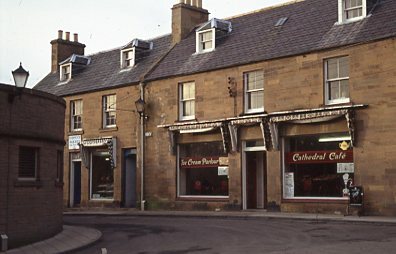 The western most premises was occupied by a bakery at the time of this photograph and subsequently the Dornoch Patisserie.